We operate two individual camps with separate campuses, 1/2 mile apart, on beautiful Lake Balfour. Each camp has its own staff, facilities and programs. Che-Na-Wah has a tradition that dates from 1923 and Baco from 1951. We offer the best of both worlds: separate activity programs for boys and girls to encourage optimum skills and leadership development, and also, many opportunities for co-ed socialization and friendship. campers who want to immerse themselves in THE PERFORMING ARTS and FINE ARTS. You choose what you want to do in Drama, Dance, Music, Fine Arts, Film, and Circus, concentrating on what you like best. We offer a caring & nurturing environment for campers to grow & learn about the arts & themselves. Camp Kids 'N Comedy is the only place that funny kids can learn to write and perform their own original stand-up comedy routines. Spend 2 weeks of your summer learning from professional comics and actors to do improv, reenact scenes from your favorite sketch-comedy shows and cap it off with your own stand-up comedy show at the Gotham Comedy Club in New York City to be performed the last day of each two week session for family and friends. Classes are taught by professional stand-up comics, improvisors and acting teachers. A casting director from a major network will attend the last sketch comedy class. Camp runs in 2 week session from Monday -Friday from noon until 4 PM. Kids can attend one, two or three sessions. Session 1: July 9-20 Session 2: July 23 - August 3 Session 3: August 6- 17. Each 2 week session $1,225. Discount if you take more than one session or bring a friend or sibling. Camp Kids' N Comedy takes place at the Gotham Comedy Club at 208 W 23 Street in New York City. kidsncomedy.com . For information call 212-877-6115. Please call for a brief conversation to qualify that this is the right program for your kid. If it is we will email you an application. Love gaming, programming, or filmmaking? Take hobbies further and gain a competitive edge! Ages 7-17 create iPhone apps, video games, programs with C++ and Java, movies, robots, 3D models, websites, and more at weeklong, day and overnight programs held at 60+ universities in 26 states including Columbia, NYU, NYIT, Vassar, Pace, Adelphi, Princeton, Stanford, and others. Also for 2-weeks ages 13-18 immerse in specialized, pre-college, overnight programs held at NYU, Vassar, Princeton, Yale, Stanford, and others: iD Gaming Academy, iD Programming Academy, and iD Visual Arts Academy (filmmaking and photography). We offer programs in astronomy, art, creative writing, chemistry, computers, engineering, polymers & metals, robotics, theater, horseback riding and swimming. These programs provide young people with opportunities to learn more about their fields of interest, to sample life on a college campus, and to make new friends. Our campus is located in the peaceful village of Alfred in western New York State, where summer days are warm and nights are cool and comfortable. Surrounded by rolling hills, beautiful meadows and valleys, Alfred University is the perfect place to spend an enjoyable week learning more about a favorite subject or sport. When not in class, students have lots of fun participating in recreational activities such as indoor and outdoor games, movies, visits to a nearby lake for picnics and campfires, hikes, hayrides, open mic night, social gatherings at a Coffee House, a farewell party on the last night, and more. Pok-O-MacCready Camps, located on a beautiful, serene Adirondack lake, offers a traditional, co-ed summer camp for children ages 6-16. We offer over 35 activities from which campers create their own schedules, including strong equestrian and wilderness programs. Our facilities include an authentic 1830's farm, a state-of-the-art indoor rock climbing center, sports fields and courts, and a picturesque waterfront for swimming, sailing, canoeing and kayaking. Established in 1905, Pok-O-MacCready has been family owned and run for over 100 years. The beauty and challenge of Adirondack mountains, rivers, and lakes are right at our fingertips, and we encourage every camper explore the opportunities these provide. Be sure to visit our website: www.pokomac.com and contact us for our DVD and info packet! Camp Walden is a co-ed, ACA accredited, residential summer camp in the Adirondacks. We are located on more than 100 beautiful lakeside acres, just 10 miles from Lake George, NY. For over 75 years, our campers have enjoyed water skiing, swimming, boating, athletics, crafts, drama, dance, music, hiking, golf, horseback riding, camp outs, evening activities, trips and special events while forming lifelong friendships in a fun, exciting and safe environment. We are known as a camp that takes great care of kids and has an exceptional staff. Our warm, caring, family atmosphere makes first time campers feel as welcome as our returning campers. Come make a lifetime of memories with us! We would like to welcome you to Forest Lake Camp, one of America's great sleep away camps since 1926! 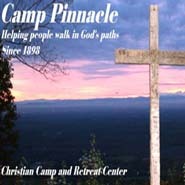 We encourage you to take a look at our website, www.forestlakecamp.com. Read about our values and principles. Look at our Directors and Counselors. Order our free DVD and see for yourself the absolute beauty of 800+ acres that makes Forest Lake Camp, our fields, our private Adirondack mountain lake with its extensive swimming and boating activities, our tennis and basketball courts, our horses for our outstanding riding program. View and read about the whitewater rafting trips, the hiking and fishing trips, our performing arts programs, and much more. Read the testimonials, unsolicited, and check our parent references. Forest Lake Camp is a wholesome, healthy, life-shaping experience for a child. We offer 2, 3, 4, 5, and 7 week sessions for campers between 8-16 years old. If you think it�s right for your child, please go to our website for more information or request a brochure and DVD by emailing gene@forestlakecamp.com. Camp Hilltop is a traditional overnight camp located in the Catskill Region of New York. Campers feel comfortable and excel in a non-competitive, structured and nurturing environment. Family values are the foundation from which Hilltop is built. The daily program consists of 90+ fun-filled activities and the flexible schedule allows campers to explore new avenues of interest or develop skills in already familiar areas. Our staff provides quality instruction in all activities including horses, water and land sports, arts and crafts and throughout our awesome outdoor adventure course. Hilltop offers 2 through 8 week sessions at reasonable rates. One of the keys to Hilltop's success is our staff. Our mature and caring staff provides superior supervision with a 4 to 1 Camper to Counselor ratio. We do personal tours throughout the year. So please contact us and come see for yourself that Hilltop is everything a camp should be! The Eastman School of Music Summer at Eastman program offers students and the community an individualized and world-class music education experience. Choose between residential music programs and camps for middle and high school students, weeklong institutes devoted to various instruments or specialties, and collegiate classes in Music Education, Music History, and Music Theory. Since 1925 Tanager Lodge has remained small and personal with a camper group of 50 girls and boys, ages 7 to 14, and 20 staff. Located on a road-less forested peninsula and nearly surrounded by a pristine lake in the beautiful Adirondack Park, camp is far removed from the technological world. The setting is ideal for fostering children's appreciation for the natural world and their connection to it. We live in tents, eat on open porches, and a wide range of activities fill our days. In Tanager's close-knit interdependent community the campers develop skills to last a lifetime in camping, mountain climbing, canoeing, swimming, rowing, wood carving, archery, kayaking, rock climbing - as well as a variety of games and crafts. The children achieve their individualized goals in a supportive, noncompetitive environment. All in all, the 3 1/2 week program ensures a fun and rewarding summer experience for everyone! Martin Scorsese and Steven Spielberg sent their children to study at the New York Film Academy. Why? Because NYFA offers a unique hands-on opportunity for high school teens and tweens to hone their artistic talents in an exciting environment. 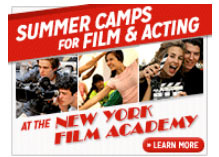 New York Film Academy offers a variety of international, hands-on summer programs for high school teens and kids between the ages of 10 and 17. Students will learn the fundamentals of their chosen craft by working with state-of-the-art equipment and facilities while receiving hands-on instruction from award-winning faculty. Programs available to high school teens, ages 14-17, include: Filmmaking, Acting for Film, Musical Theatre, Photography, Screenwriting, Music Video, 3D Animation, Game Design and Broadcast Journalism spanning from 1 to 6 Weeks in length. Programs available to kids, ages 10-13, include: Filmmaking, Acting for Film and 3D Animation. Kids programs are offered in 1 or 2 week camps throughout the summer. Locations include: New York City, Los Angeles, Harvard University, Disney Studios - Florida, South Beach, Paris, Florence, Australia, and Mumbai. Please contact us to receive more information about courses, locations, dates and tuition. Summers are for having fun. It's a time to spend with friends. To make memories and share experiences that last a lifetime. That's what Mill Basin Day Camp is all about. We are dedicated to providing an exciting and fulfilling camp experience for both children and their parents by providing of fun, recreational, social and educational activities. We have grown over the years to become the most popular summer camp program in the Brooklyn / Queens / Long Island areas. At least that is what the kids & their parents tell us. The staff consists of professionals, many of whom continue to work in child related fields throughout the year. Our modern, fully air-conditioned facility offers a wide range of activities for children entering Pre-K thru 9th grade in the upcoming September scholastic year. There are Five (5) individual camp programs. Each camp has its own unique and innovative program that best suits the needs of the varying ages of our campers. We realize and understand the pressures facing today's working parents so we have designed a very flexible registration program. Families are always invited to come in for a personal tour of the facility and to discuss the camp program with you at length. It would be our pleasure having you. The ACTion never stops as the daily schedule begins at 9:30 and ends at 4:00. Pre and Post-camp programs are available as well. Our younger campers enjoy sports, creating art, making music, gardening and water play in our aquatic area. Our older campers have a full day of ACTivity including sports, crafts, nature, challenge courses and more. Our oldest campers share in the decision making process, embrace new experiences while enjoying all of the other programs and experiences that ACT has to offer. Fun-filled out of town trips for groups first grade and up round out the ACT experience. Two days carnival, Aqua days with water rides, assemblies and guest performers add a sparkle each campers eye. The August sessions focuses on art, sports and performing arts. Our youngest campers continue in their own specialized programs with an emphasis on creating and engaging with nature, art, music sports and most of all each other. Expert level staff teach campers the fundamentals of their crafts... Third through ninth graders may select three classes a week in the Art, Sports or Performing Arts Track. They spend their lunch and noontime sharing experiences with other campers and staff. Camp Fashion Design invites all fashionistas to explore the world of fashion and design this summer in NYC! Meet stars from TV's hit show 'Project Runway', visit FIT, tour Mood Fabrics, showrooms, meet designers, sketch, design and so much more as you spend the week learning what it's like to be a designer in the fashion capital of the world! Visit us at www.campfashiondesign.com! Modeling Camp invites all girls to explore the world of modeling and fashion this summer! Come 'discover the model in you' as you have your own photo shoot, participate in a real fashion show and meet stars from TV's hit show 'America's Next Top Model!' 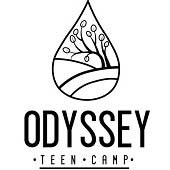 Located in Manhattan, this highly acclaimed camp which has been featured on Good Morning America and NBC NY, offers programs for girls ages 11-17. Visit us for more information at www.modelingcamp.com! 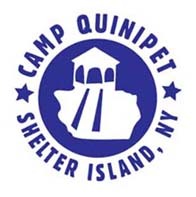 Established in 1947, Quinipet is built upon the rocks of Faith, Courage, Love, Humility and Honesty, creating a foundation that welcomes campers from all walks of life, faith, and church affiliation. Quinipet is accredited by the American Camp Association with roots in the Methodist tradition. Campers ages 7-8 sample activities all around camp, from crafts to fishing, with their bunk group. Campers age 9+ choose electives for the week, tailoring their activity schedule and meeting new friends. Every week includes camper favorites - enjoying the water, getting silly with all camp activities, and eating lots of s'mores! Day Camp has all the spirit and tradition of overnight camp, complete with waterfront, sports, and arts activities. Activities are age appropriate and hands on, with campers ages 5-8 in small groups with campers the same age. Every day includes structured activities ranging from art, nature exploration, cooking, and noncompetitive sports. Day campers 9+ have the opportunity to choose their own electives, adding variety to their day! The Eversoul Institute's Summer Program on Creativity helps give high school students the foundation to develop and explore creativity and interdisciplinary thinking. The Creative Forum provides an introduction to Creative Thinking by using a combination of examples and exercises. The course will first offer students an examination of common biases and how they often lead thinking down a preset path. Next, students will deal with creativity as association, focus on divergent thinking and cognitive flexibility using examples from finance, literature, art and languages. This is a fast-paced course which exposes students to a variety of concepts, some of which are at college levels. It is recommended for students who are currently performing at advanced levels or are willing to put in extra effort to meet the demands of the course. The Creative Forum is intended for high school students aged 16 to 18. Students should be currently attending their sophomore, junior or senior year during the 2015/16 academic year in order to apply. This one-week course will be offered twice - July 18-22 and July 25-29. Classes are held from 9:30 am until 3 pm on the campus of Columbia University and lunch will be served. Registration fee: $1,299 per student. To register or for more information, visit www.Eversoulinstitute.com or e-mail registration@eversoulinstitute.com. Adirondack Camp, considered one of the great Adirondack camps, is a co-ed, residential summer camp located on its own peninsula on northern Lake George for ages 7-17. For over 110 years, our mission has been to build bold hearts and strong character through enormous fun, deep traditions, extraordinary friendships and lifelong values. We have outstanding staff and have benefited from consistent leadership for 4 decades. Our campers choose from over 30 activities in the Arts, Land, and Waterfront and have an opportunity to partake in all sorts of trips, including canoeing, hiking, whitewater kayaking, SUP, rock-climbing and fishing in the Adirondack Park region. 2 and 4 Week as well as Full Sessions available. Ranger program for 16-year-olds and CIT program for 17-year-olds with emphasis on leadership and service. Please visit our website http://www.adirondackcamp.com/ and contact us at 518 547-8251 for any additional information, call our families with questions, and visit us on the peninsula. We promise the greatest summer of your camper's life!
" I wish camp could be every day of the year ..."
You hear those words at the end of our camp video, and it's a sentiment that countless Schodack campers have expressed over the years. Since 1957, Schodack has been a summer home for thousands of children who thrive in our family-oriented, active and nurturing environment. 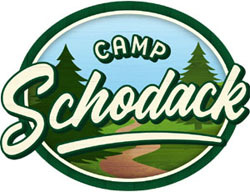 Under the same Krouner-family ownership since its creation, Schodack is a co-ed, ACA accredited, residential sleepaway camp that believes in providing a fun, safe and friendship-filled summer for children. The positive spirit that flows through Schodack is truly an amazing thing to experience, and our campers tell us they love the warmth, tradition and spirit that come from spending a summer at Schodack. Authentic Relationships: A community based on trust and love where teens make real, honest, and valuable friendships with so many different people. Teens are able to let their guard down, relax, laugh, and learn about themselves. Emotionally and Physically: We provide campers the freedom they need to thrive while keeping them emotionally and physically safe. This is a safe space for teens to feel seen, respected, and supported. Be Exactly Who You Are: Teens develop the confidence they need to have integrity and a sense of self that is not determined by the judgments of others. Connection Through Trust: Each member of our community is an individual. Teens design their own program everyday. With over 50 different cool activities to choose from, campers can try out all sorts of new things. 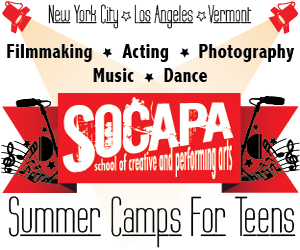 SOCAPA offers arts intensives for teens in filmmaking, photography, acting, dance, and music. Our summer programs range in length from one to three weeks. Our students come from all over the world to join our programs. Whether novice or advanced, each is dedicated to working hard and gaining the most they can for the length of their program. We love working with the next generation of performing artists; our teachers and staff are passionate and love what they do, and our students do too! In addition, we take advantage of our beautiful locations, planning trips and time to enjoy new friendships in some of the most artistic cities in the USA! SOCAPA provides a unique combination of intense creativity and summer fun - we hope you'll join us this summer! 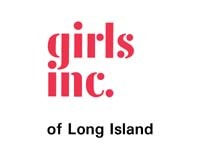 Inspiring all girls to be strong, smart and bold, Girls Inc. of Long Island provides school and community based programming that serves the unique needs of girls, ages 5-18, living in Nassau and Suffolk Counties. During the summer months, Girls Inc. provides 2 weeks of Summer STEAM camp at Brookhaven National Lab. Camps are $100 each week with busing from selected locations, such as Central Islip, Patchogue and Riverhead. Girls Inc. also provides teen summer opportunities such as a weeklong Social Justice, Yoga, and Writing Institute, a Coding and Leadership Immersion, and a Career Exploration Week. Girls Inc. strives to provide all girls with empowering and transformational opportunities that are affordable and accessible. Limited scholarships are available. The Girls Inc. experience equips girls to navigate gender, economic and social barriers and grow into healthy, educated and independent adults. Camp Description: The best of both worlds: Camp Is-Sho-Da is a Girl Scout camp tucked away in the town of East Greenbush, New York, a short drive from Albany. The camp has a private lake for boating, paddle boarding, fishing, and swimming, and is easily accessible to all points within the Capital Region. Camp Is-Sho-Da offers a large playing field for group activities, as well as separate areas for archery, nature, arts and crafts, and specialty programs. Camp Description: Camp Meadowbrook is located on nearly 14 acres right next to the Girl Scouts of Northeastern New York Queensbury Service Center. This charming little camp has a splash pad, tree house, nature trail, playing field, and a large campfire circle. Campers will enjoy creek stomping on the gentle winding creek located on the property. The general camp session includes activities in nature, arts and crafts, games, cooling of in the splash pad and so much more! Camp Description: Nestled in Galway, New York, this Girl Scout camp is beautiful and easy to get to! At Camp Woodhaven, we have a pristine lake fully equipped with boats and paddle boards. We also have an amazing play field, GaGa pit, observation deck, and arts and crafts building. Transportation is provided from Schenectady, Ballston Spa, Clifton Park, and other nearby locations. Camp Description: Hidden Lake Camp is a residential Girl Scout camp located just three miles from Lake George and offers amazing opportunities for girls! Hidden Lake has two mountain hikes within the camp property and a large private lake. Campers enjoy swimming, boating, and paddle boarding during waterfront time. The camp experience includes archery, arts and crafts, nature, hiking, team-building activities, and low and high ropes course elements. Girls are given the opportunity to customize their adventure by adding specialty programs to their week. Meals are served family-style in the dining hall, or girls can learn to prepare meals over the campfire. Camp Description: Lake Clear Camp boasts amazing views of the Adirondack high peaks, clear lake waters, and a sense of the true summer camp experience. This Girl Scout camp is situated on Lake Clear, a short drive from Saranac Lake Village, Lake Placid, and Paul Smith's College. Campers will enjoy amazing waterfront activities such as sailing, canoeing, kayaking, and paddle boarding. Weekly field trips to nearby Wild Center and Paul Smith's Visitor Interpretive Center are part of the adventure! A co-ed retreat on beautiful Lake Regis in the Adirondack mountains, Camp Regis was founded in 1946 on the Quaker values of friendship and acceptance. Now celebrating our 70th year, these traditions are more relevant than ever. Our camp serves diverse families looking for an escape from anonymity and a place for children to explore their identities, their interests, and their world. All camps should be transformative experiences for kids, but Regis offers more than that; it offers honest, wholesome fun and exploration for kids to grow, providing memories that last a lifetime. Alumni are often quoted saying that their years at Regis were the best days of their lives. 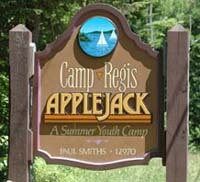 Teen camp (Applejack) is in a separate area from the Regis cabins, giving all ages the freedom to be who they are, while still allowing younger and older siblings to interact. Each cabin is Adirondack styled, with several rooms, bathrooms, and a living room with a fireplace. Both camps share a full canopy of trees, a common dining area, and a secluded cove waterfront perfect for enjoying all the activities needed to make for an unforgettable summer: swimming, water skiing, sailing, canoeing/kayaking, tennis, camping/climbing excursions, field trips, music, theater, arts & crafts and so much more. Come home to Camp Regis in 2016! Primitive Pursuits Overnight Camps offer week-long Summer Adventure Overnight Camps in New York's Finger Lakes for ages 12-15. Campers experience a week of immersive nature-based skills training, inspiring challenges, and outrageously fun activities under the guidance of seasoned wilderness instructors. Our camps happen at Cornell University's 4,200 acre Arnot Forest Camp featuring hardwood forest, grasslands, ponds and streams. It provides an ideal place for extended overnight camps, trainings, and exploration. Our camps are designed to build confidence, friendships and outdoor skills - and offer some of the most positive formative experiences in a young person's life. Overnight Camps are a perfect opportunity for kids to safely put their skills to the test. What your kids learn with us are truly helpful life skills that will travel with them far beyond the camp experience. Camp Little Notch (CLN) is a magical forest and an inspiring summer camp for girls (ages 7-17) located at the base of the Adirondacks in upstate New York. CLN is situated on 443 acres of pristine wilderness, including an 80-acre private lake providing the perfect setting for outdoor adventure, personal growth, new friendships, and community building. Camp Little Notch is a place where all girls can belong! Campers are grouped by similar age and discover their strengths and unique voices as we support them through the transition to adulthood. Little Notch connects girls of diverse backgrounds with each other, positive mentors, and the land. We provide opportunities to develop responsibility, resourcefulness, wellness, creativity, and teamwork skills. Activities include swimming, canoeing, sailing, team building, ropes course, yoga, creek walks, wildlife observation, hiking, outdoor cooking, arts and crafts, music, overnight camp-outs, and so much more! 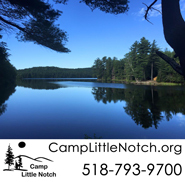 Visit CampLittleNotch.org to read more about camp life, request a brochure, register for camp, and more�including CLN�s history and lots of pictures! The CCNY summer multi-sports camp (Basketball, Baseball, Soccer, Golf, Swimming, Tennis and Volleyball) is a wonderful opportunity for children (Boys / Girls ages 7 to 15) to enjoy exciting recreational activities in the friendly summer setting of the City College of New York�s athletic facilities. 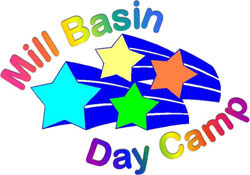 Camp day runs from 9:00am to 4:00pm, Monday thru Friday. We offer a early drop-off (8:00am) and a late pick-up (5:00pm or 6:00pm) for a nominal charge. Multi-sport activities, instruction, lunch and a camp t-shirt are included in your tuition payment. Discounts: We offer an early bird (May 15th, 2014) discounted registration ($25), multi-session discount ($25) and multi-family member discount ($25). French Woods offers summer camp programs in dance, theater, music, circus, magic, visual arts, sports, and horseback riding. Each child works with our staff to design his or her own unique summer experience. Campers are able to focus on one particular area of interest, or they may choose to select a variety of activities. We are at the same time, a theater camp, an art camp, a dance camp, a circus camp, a horseback riding camp, a sports camp, a magic camp, and a camp that offers all the traditional camp activities, with world class programs that each child can choose a-la-cart. Your counselors, head counselors and the program office staff will work with you to help you choose a program that's right for you.French Woods is located on a private lake in the western Catskill mountains of New York State near the Delaware river and the Pennsylvania Border. The camp is approximately two and a half hours from New York City between Monticello and Binghamton. We have been in the same location and under the same ownership since 1970. Since 1902, Surprise Lake Camp has stood for more than just great fun. Our campers come away with better skills for getting along with others, greater independence, enhanced self-esteem, stronger Jewish identities, heightened environmental awareness, and a fuller sense of their creative potential. Kosher, coed sleepaway camp with a full range of traditional camp activities, 60 miles from NYC. Sliding fee scale available. We have also site rental, Family Camping and "Get Your Feet Wet" Programs. Forrestel Riding Camp is a premiere English riding camp established in 1980. We offer one, two and four... week sessions girls ages 7-17. Our historic 800 acre working farm is located 40 miles east of Niagara....... Falls, NY. Our international and local riding counselors are all qualified, experienced and passionate about teaching our campers to ride. Riding instruction at Forrestel includes structured ring work and cross country riding. Our campers can choose to ride once or twice daily. Each child is assigned their own horse. Forrestel. Riding Camp programs are designed to help campers develop confidence and explore new opportunities. We limit our enrollment which enables us to have more one on one time with each child. In addition to riding, campers can choose from a multitude of other activities such as tennis, woodworking, paddling, arts and crafts, team sports and more. 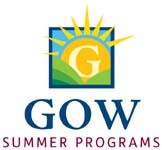 Description: The Gow School Summer Program is a coed 5-week residential and day program for campers ages 8-16 who have been diagnosed with dyslexia and similar language-based learning disabilities and/or ADHD. It offers a blend of morning academics, afternoon and evening activities and weekend trips. 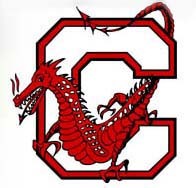 SUNY Cortland Sports Camps provide participants with an experienced and motivated staff in a state-of-the-art, multi purpose athletic facility, which enables players to advance their skills and realize their potential to play at the next level. Our goal is to stimulate interest in the sport, build confidence, sharpen skills, and improve performance, all while encouraging passion for the participant's sport. Each coach is an experienced collegiate head coach in their respective sport, guiding SUNY Cortland Red Dragons to multiple victories at the national level. Demonstrations by current college players give opportunities for accurate visual modeling that will ultimately be replicated by campers. Dependable supervision allows learning to occur in a safe and fun environment. Maximum participation is always a high priority. baseball, volleyball, basketball, field hockey, and wrestling. 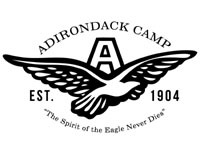 The North Country Camps � Camp Lincoln for Boys and Camp Whippoorwill for Girls � are adventurous and fun full-season resident camps located in the Adirondack region of NY State. We offer a program that emphasizes individual choice, and we offer a wide range of activities in camp including horseback riding, sailing, canoeing, swimming, windsurfing, kayaking, bicycling, soccer, baseball, softball, ultimate frisbee, volleyball, tennis, archery, art, drama, dance, and woodshop. We also offer an extensive Wilderness Trip program. The trips � day trips, overnights, and 3, 4, 5 day trips � include hiking, backpacking, canoeing, bicycling, riding, and sailing. Campers live in cabin groups of five or six campers with one counselor. Overall camper counselor ratio is 3:1. 2011 season from June 26 through August 16, with 5-week option ending July 30th. generation to generation. Parents send their kids to camp to learn their camp songs and experience the games, campfires, and camp celebrations that made their summers so special. Chateaugay�s united spirited environment encourages friendships across age groups, gender and nationality. It builds the spirit of returning campers and captures the hearts of new campers. This time in our kids lives truly helps to build Memories for a lifetime. Since 1993, Rolling River has provided children ages 3-15 with highly supervised, premium camp experiences that result in the development of real life skills, real friendships, and real FUN! Less than 25 miles from New York City, Rolling River is the only private day camp in the Southwest corner of Nassau that is owned/operated by a local family. RRDC offers every sports/arts activity imaginable, including small group swim instruction & unique riverside tubing and banana boating. Peanut-aware hot meals and snacks are included with tuition (kosher options available). Rolling River offers a large variety of weekly off-campus trips and on-campus special events. Many program options include 4, 6 or 8 weeks with flexible camp dates. Customized payment plans and scholarships available. Air-conditioned bus transportation available to select areas of Manhattan, Brooklyn and Queens along with our already popular Long Island routes. Special needs accommodated. ACA Accredited, Nassau County Board of Health Licensed. Tranquillity Camp has been a summer home for children ages 7 to 16 since 1919. Lifelong friendships develop while children enjoy fun in the sun all summer long on our 1,000 green acres. Tranquillity Camp invites children to participate in athletics, drama, nature/ropes, art and other summertime adventures in a safe and nurturing environment. 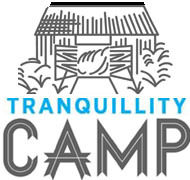 Founded by Elias A. Cohen, Tranquillity Camp was built on Tranquillity Farm in the foothills of the Catskills. Mr. Cohen brought young Jewish boys and girls to his farm in Earlton, New York to escape the heat of the city. Over the years, Tranquillity has grown from its simple roots as a single farmhouse located on several acres of land, to an expansive campus with fully-modernized houses, a beautiful dining room, two swimming pools, a large multi-purpose Sports Center, a modern theater and an air-conditioned infirmary. The Cohen family has remained an integral part of Tranquillity, staying true to Elias A�s mission of providing a fun, safe and exciting summer camp experience at an affordable cost. Camp Kinder Ring, located 70 miles north of NYC, has been offering a traditional full complement of activities and events for children ages 7-16 since 1927. Our waterfront is second to none including a heated, Olympic-size pool for swim instruction by Red Cross instructors, lake activities ranging from canoeing, kayaking, windsurfing, sailing, to trampoline, iceberg climbing apparatus, and leisure water sports such as fishing and snorkeling. Our Arts and Crafts pavilion offers woodworking, ceramics, glass making and fine arts and crafts projects in which all our children take pride. Our sports program is comprehensive combining instruction and free play with inter camp tournaments and intra camp friendly competitions. Our indoor and lighted, outdoor facilities and fields are state-of-the-art and include 3 basketball courts, 5 softball fields, 3 soccer fields, an archery range, cooking program, dance studio, weight room, adventure center, hockey rink, gaga court, 7 tennis courts, 8 volleyball courts including beach volleyball. An all-camp production is performed each summer with spots for all interested campers and staff. Kinder Ring offers comprehensive, secular, Jewish cultural programs. 3, 4 and 7 weeks sessions. Mini-camp for 6-9 year olds. There is something at which every child can excel at Camp Kinder Ring. A full day of athletic skill development with NCAA Coaches!! 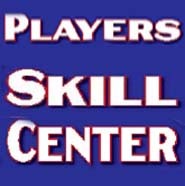 The Players Skill Center (PSC) offers a variety of Coed specialty camps with the flexibility to register for one or multiple sessions for children ages 6-14. Campers may choose any of our 3 different sports specialties or our athletic development camp. Campers have the option of spending a full day or half day in their area of specialization. Those campers who choose a half day in a certain specialty, will spend the other half in planned recreational activities, which include athletic competitions in a variety of sports, plus a designated swim sessions. Our instructional staff has a great mix of professional, collegiate and high school coaching experience. We also have a full support staff of current college players to provide as excellent role models for the next generation of athletes. is perfect for your individual, club, and team needs. The Brookwood experience is one where we learn to live with others, develop new skills and have fun. This is accomplished each summer in a safe, nurturing & caring environment where each child is made to feel special. The results are children that leave camp with a good self-image, high confidence level and friendships to last a lifetime. with an emphasis on wilderness canoe and backpacking trips. Dedicated to providing a community where children can experience the joys of childhood in a safe secure environment. Our quality Christian Summer Camp is truly where faith and fun come together! Boys and girls love our Pathfinder program. Whether day camp or overnight camp, enjoy a week of hands-on skill classes, cool Bible studies, praise & worship, camp games, cookout and more, guided by caring well-trained counselors. Youth and Teens enjoy our Trailblazer program. Spend an action-packed week at camp catching up with old friends & making new ones. Sign up for our summer Specialty Camps: Running Camp, Horse Camp, Skateboard Camp, Paintball Camp, Art camp and more. Whateveryou choose, we believe this will be the Pinnacle of your Christian Summer Camp experience. Featured on The Tyra Show, 20/20, MTV, The Discovery Channel, Dr Phil and the New York Times Magazine. Our campers have fantastic weight loss in 3, 6 or 9 week sessions at our outstanding, activity-filled facility. We're a weight loss camp with superb, proven results but dieting is only part of our awesome program. At Camp Shane you'll feel comfortable, welcome and good about yourself. We are family run since 1968, highly supervised and offer great kid-tested, portion controlled meals with classes in nutrition and cooking to support your future success. We have a very fun and friendly atmosphere on privately owned, beautiful grounds and the experience to get you great results. Here are just some of our programs: All sports, weight training and fitness, paintball, heated pool, water-skiing, jetskis, banana boats, ropes course, 12 craft shops, theater, dance, aerobics, go carts and dune buggies, video games, DJ and movie nights, and more! Southwoods is located in Paradox, New York, in the heart of the Adirondack Mountains. Situated on pristine, spring-fed Paradox Lake, where the majestic mountains of the Adirondack Park slope to the water's edge. Southwoods offers an interactive , exciting and progressive camp program with a wonderful variety of outdoor and waterfront activities. Facilitated by excellent staff whom teach, inspire, entertain and create life-long memories and friendships all within a four-week camp experience. Campers take their invaluable summer experiences from Southwoods with them into adulthood. They then return as staff to help create those same experiences for the next generation of campers. Southwoods is an institution families trust. Brant Lake Camp: located just north of Lake George, Brant Lake Camp has been in existence under one family's ownership since 1917. We are a sports and water oriented, private (high tuition) single session, residential camp (all 340 boys and 100+ counselors stay for seven weeks). We run in close connection with Point O Pines Camp for girls and Brant Lake Dance Centre for Teenage Girls. The Landman family has owned and operated Camp Kennybrook for 38 years. The entire family is dedicated to providing the highest quality summer experience for children. Peter, Carole, Howard and Stacey Landman strive to make each camper an important member of the whole family. A coed residence camp just two hours from NYC. In this theater summer camp, young people produce a play according to their own ideas and desires while learning German. They get to practice projecting their voice and speaking clearly on stage. The youths have the opportunity to try out different roles, costumes and situations as well as improvise and play around. By playing different roles they build self-confidence and develop their own personality. We help them become ready for the stage and at the end they perform their play in front of an audience. Imagine a summer camp in the Adirondacks that combines all of this every single day: Unmatched beauty of our north shore location on one of the great Adirondack Lakes. Self-discovery that starts with exceptional counselors and instructors. Delight that comes from realizing previously unknown talents and skills. Adventure that comes from trying brand new things with lots of support. Imagine all this happening, when all you expected was a great time: Together we build a sense of real community, beginning with sportsmanship. Together we create a secure and supportive environment, based on mutual respect. Together we form warm and lasting friendships . because we�re really nice and that great time you expected happens every day. We offer a summer of fun and a lifetime of friendships! ONLY camp with bunk counselors that are all- American and �home grown�. First time campers our specialty! Co-ed, camp serving ages 8-14. All modern facilities include Olympic sized heated pool, private lake, air-conditioned cafeteria-style dining hall, air-conditioned health center (pediatrician on premises). Directors with 30+ years experience at BH-EC, all traditional and cutting edge camp programs (including Jewish Cultural programs). We offer your child adventure, skill development, and personal growth in a comfortable �second home�. Sliding fee scale available.